Former United Nations chief Ban Ki-moon returned to the international limelight after the International Olympic Committee elected him to head its ethics commission. The commission, including four IOC members and five independents, is charged with defining and updating a framework of ethical principles, including a code of ethics, based on the values and principles enshrined in the Olympic Charter. "I believe that ethics is essential to the success of any organization," Ban said in a speech after a vote in Lima, according to a post on the IOC website. "That is why I did everything possible to strengthen the culture of ethics at the United Nations." 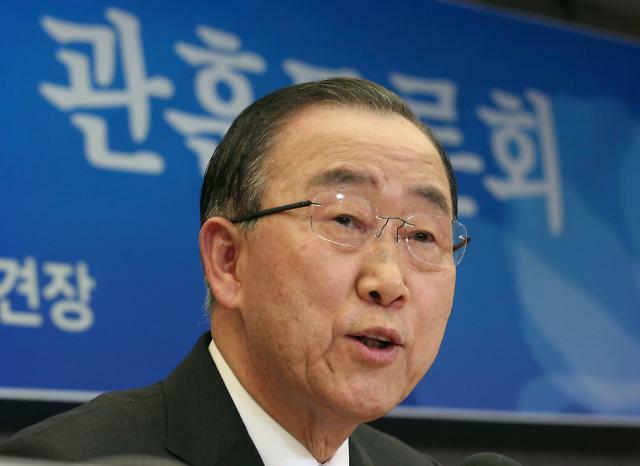 Ban, 72, was one of South Korea's top presidential contenders when he returned home on January 12 after completing a 10-year tenure as UN secretary general. He has maintained a low profile since he gave up his presidential bid on February 1, expressing frustration over an "obsolete and selfish" mindset in South Korea's political circle.